WTO Rules the House. How will WTO Membership Affect the Development of Local Content? Beket Izbastin, Director of the Department of subsoil use of the Ministry of Energy, tells the Council on the development of strategic partnerships in the oil and gas industry his vision of the development of Kazakhstani content in oil and gas projects. 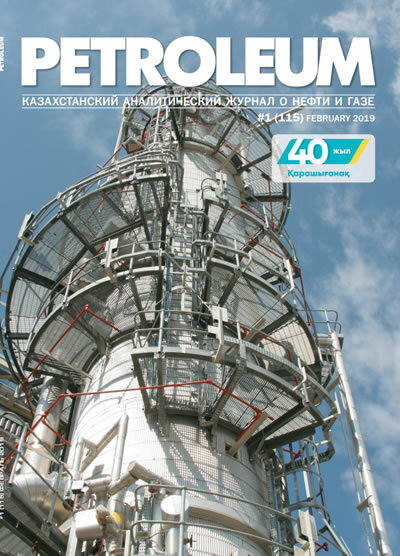 Karachaganak project is one of the leaders in the oil and gas industry of the country in terms of the volume of purchased goods and services from Kazakhstani producers. At the end of last year, the project partners signed a major agreement with the Republic of Kazakhstan on the authorization of the KPC Gas Debottlenecking Project. The unique Karachaganak project, since 2001, one of the first in the country has a Local Content Development Programme, updated every two years to set new challenges for KPO and set the trend in the development of local content for the entire oil and gas industry. KPO, supported by the Ministry of Energy of the Republic of Kazakhstan, West Kazakhstan local administration and authority body – PSA LLP is conducting active work on the involvement of local producers and oil service companies in the framework of the Local Content Development Program at the Karachaganak oil and gas condensate field in 2018-2019. Karachaganak Petroleum Operating B.V. is one of the first companies in the Republic of Kazakhstan to implement the Local Content Development Program successfully. The conceptual project of Kazakhstan local content development or Aktau Declaration on Joint Actions was signed in September 2012 by the national company KazMunayGas and three operators: Tengizchevroil, Karachaganak Petroleum Operating B.V. and North Caspian Operating Company. Should the Oil Service be Afraid of the WTO? The history of development of offshore fields has more than 140 years. Back in 1876, the Nobel brothers founded an oil company in Baku, becoming the largest oil company in the Russian Empire, and which for the first time began oil production on the Caspian shelf at the Bibi-Eibate field. The growth of competition in all sectors, the instability of prices on the oil market, the significant dependence of countries on hydrocarbons, the need for other types of minerals and the depletion of traditional deposits set new goals in the oil and gas industry, in particular, in geological exploration. Atyrau, Kazakhstan, 4 February 2019. Mr. Richard Howe today officially takes up the position of Managing Director, the top executive officer of the North Caspian Operating Company N.V. (NCOC). Yermek Marabayev Appointed as Deputy Managing Director of North Caspian Operating Company N.V.
Atyrau, 11 February 2019. Mr. Yermek Marabayev officially assumed his duties as Deputy Managing Director of North Caspian Operating Company N.V. (NCOC). At the beginning of the new year, Petroleum Journal offers to recall the most significant events of the past year, 2018. December 2018. December 1, Imer Bonner has been appointed the new General Director of Tengizchevroil — the largest producing joint venture in Kazakhstan.